HOUSE PARTY!!! 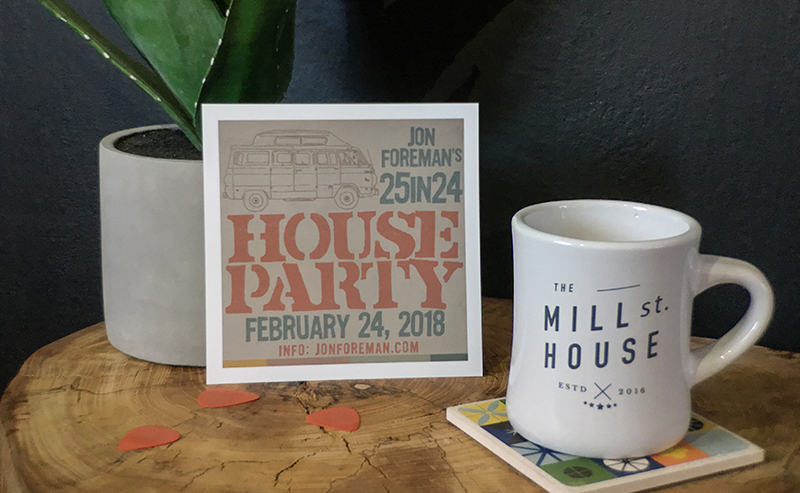 Join us to watch Jon Foreman's new music documentary "25 in 24" this Saturday Feb. 24, 2018. PARKING IS AVAILABLE ACROSS THE STREET FROM THE VENUE.